There is a popular belief that girls have a tendency to favor their fathers, whether true or not. This is where the term “daddy’s girl” comes from. This belief may certainly be true in some cases, but equally some women have serious issues with their fathers. Daddy issues are a prevalent theme in our society, they are even used as a trope in many television shows. We don’t have to look far to find examples of women with daddy issues in our celebrity culture. Here are 15 celebrity moms who clearly have the most difficult dads. Kylie Jenner is famous for being a member of the Kardashian clan. She grew up in the public eye, making regular appearances on her family’s reality show, Keeping Up With the Kardashians. It may come as no surprise to hear that many of them suffer from daddy issues to varying degrees. With the older siblings, the children of Robert Kardashian, these issues likely stem from their father’s early death. With the younger Jenner children, these issues may stem from their dad now being their mom. Kylie’s father, Bruce Jenner, was once most famously known for being an Olympic athlete, having competed in the 1972 and 1976 Summer Olympics. After marrying into the Kardashian empire, he became known mostly as Kris Jenner’s husband. In 2015 Bruce became, quite possibly, the most famous transgender person in the world when he revealed his transition to Caitlyn. There are those that believe that Kylie has never really come to terms with Caitlyn. They speculate that her daddy issues form the basis of her somewhat questionable dating choices. It was recently revealed that Kylie may be expecting her first child with her boyfriend Travis Scott. At times, it seems like Adele is more of a grown-up than other songstresses her age. She is a music superstar who seems to always be singing about some kind of heartbreak. As such, it might not come as a surprise to many that she has some daddy issues. It turns out when Adele was an infant her father walked out on her and her mom. What makes this story even sadder is that Adele’s mom was only eighteen at the time her dad left. Naturally, this did not go over too well with Adele. It was not until recently, in 2011, that Adele cut ties with her dad. He sold his story, about walking out on Adele and her mom, to the press. 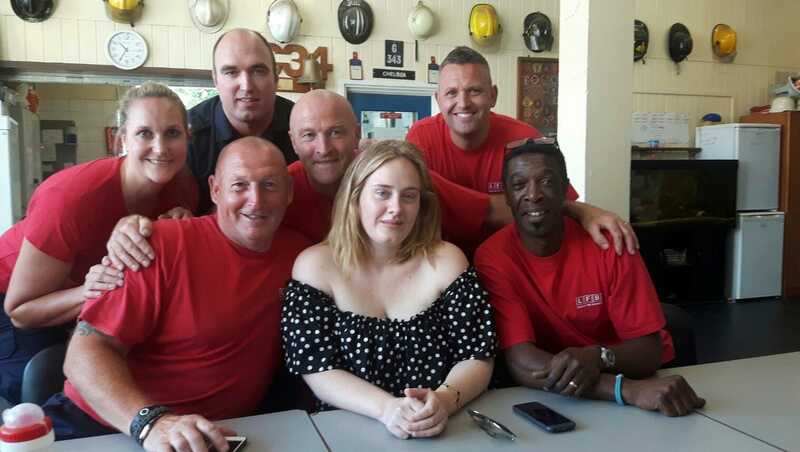 Adele’s dad now has cancer and is reportedly desperate to get in touch with the daughter he abandoned years ago, likely to try and make amends for the harm that he did. Beyonce is yet another celebrity mom who has daddy issues. Beyonce’s dad is a real piece of work. Not only did he do bad things when it comes to Beyonce and her family, but he negatively affected her professional life. Beyonce’s dad actually used to be her manager, and he is quite possibly a major reason why she is the famous singer she is today. The only problem is that while he was her manager he was also stealing from her. Obviously, Beyonce was none too happy about that. But it didn’t stop there! 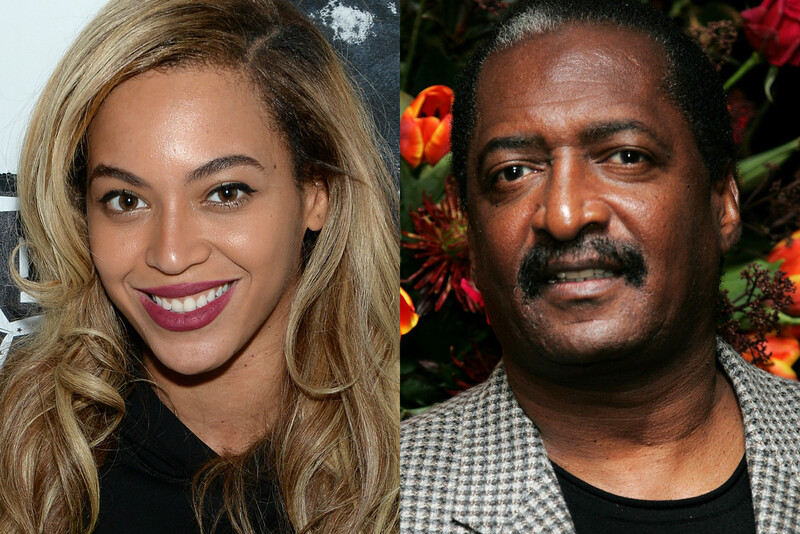 It seems that Beyonce's dad also spent years cheating on her mom, even fathering two children. Beyonce’s parents have since divorced. Beyonce was reportedly so angry at her father that she did not even bother going to his wedding a few years ago. No one can blame her for that, given how poorly he treated her and her mother. One thing that is interesting about Angelina Jolie is that she has a famous father, Academy Award-winning actor Jon Voight. They even starred in Tomb Raider together. Despite their occasional professional ties, Jolie has spent a good portion of her life estranged from her father. One of the reasons for this is that Voight had several affairs while married to Angelina's mom, Marcheline Bertrand, who died of cancer in 2007. Voight has also absent for much of Angelina's life. Things seemed to come to a head when he was uninvited to her wedding with Brad Pitt. A pretty extreme measure considering he is the father of the bride. He has also publicly claimed that she has serious mental health issues. Which may be true, but is certainly not something that should be shared in that way. It’s not difficult to see why this relationship is so strained. When someone is as beautiful and famous a movie star as Halle Berry is, one would think that she would have her pick of men. That may very well be the case, but it seems that in the past she had a tendency to pick all the wrong guys. Halle herself has attributed her less than stellar track record to her issues with her dad. It seems that her dad was anything but a prince. Reportedly Halle’s father was very abusive towards her mother, and that had some negative consequences for Berry. She claims this cycle of abuse ultimately lead her to devalue herself. She picked men that were not all that different from her dad because she felt that she did not deserve better. Fortunately, it appears that Berry has more recently made better choices which is great news for her and her children. Saying that Mackenzie Phillips has daddy issues is putting it pretty mildly. The controversy this actress and musician is most famous for is having an affair with her father. Yes, they were engaged in amorous activities. During many of their encounters, the pair was also under the influence of illicit substances, a habit that she began when she was only eleven years old. There is not one aspect of Phillips’ relationship with her father that is not supremely messed up. And that’s putting it mildly! To make matters worse she was only nineteen at the time this disgusting relationship began. According to Phillips, the relationship went on for ten years. She ultimately ended the relationship when she became pregnant with no clue as to who the baby’s father was. She had an abortion and never let her dad touch her again, thank goodness for that! Like Angelina Jolie, Tatum O'Neal also has a famous father in actor Ryan O’Neal. Also like Jolie, her relationship with her dad is not exactly the best. The two of them have been estranged for some time. At one point the estrangement was so bad that Ryan O’Neal did not recognize his own daughter. This awkward encounter reportedly took place at the funeral for Ryan O'Neal's late lover, the actress Farrah Fawcett. Not only did Ryan O'Neal fail to recognize his daughter Tatum, he also reportedly hit on her. The two O’Neals tried to begin mending their relationship on, what else, a reality show. The show aired on The Oprah Winfrey Network and did not last very long. Sadly neither did their efforts to fix their relationship. Tatum reportedly says that she is perfectly fine with their broken relationship, having come to terms with not having her dad in her life. 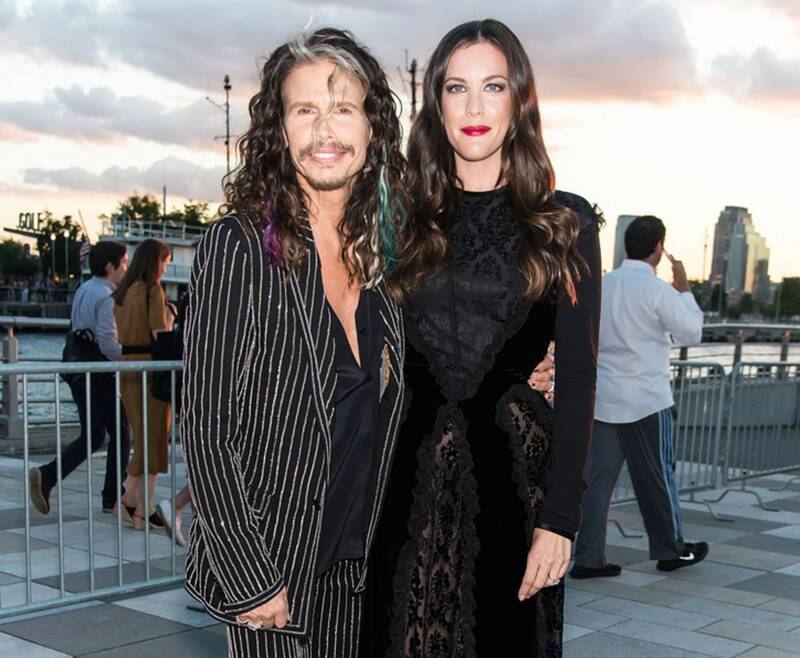 When it comes to daddy issues Liv Tyler is certainly in a unique position. Her issue was not more complicated than her father not being a part of her life. Her issue was that she spent many years not knowing who her father actually was. For years she thought her dad was musician Todd Rundgren, the man that raised her. All that changed one day when she went to an Aerosmith concert. She noticed, as anyone would have, that there was a striking resemblance between herself and Aerosmith frontman, Steven Tyler. It was then she discovered that Steven Tyler was actually her dad. She seems amazingly chill about the whole situation saying that she understood Steven was not in the position to be her father. It is nice to know that she does not hold any grudges against the man that fathered her. Kate Hudson is the equally famous daughter of famed actress Goldie Hawn and Bill Hudson. It is well known that Kate and her father do not get along very well at all. Kate’s dad and Goldie divorced in 1980. Rather than remain in their lives after the divorce he instead he chose to cut off all contact with Kate her brother Oliver. Both of them consider Goldie Hawn’s longtime love, actor Kurt Russell, to be their dad. Their issues with their dad run so deep that on Father’s Day Oliver sent out a tweet saying “Happy Abandonment Day.” On the bright side, it has been reported that the tweet leads to a discussion between Kate and her father. So things might be getting better between the two after decades of being estranged from one another which is great news. Jessica Simpson is a fairly interesting case when it comes to daddy issues. By all accounts, her dad has not actually done anything to her. The issues that Jessica has to seem to stem from the fact that her dad is just kind of creepy. 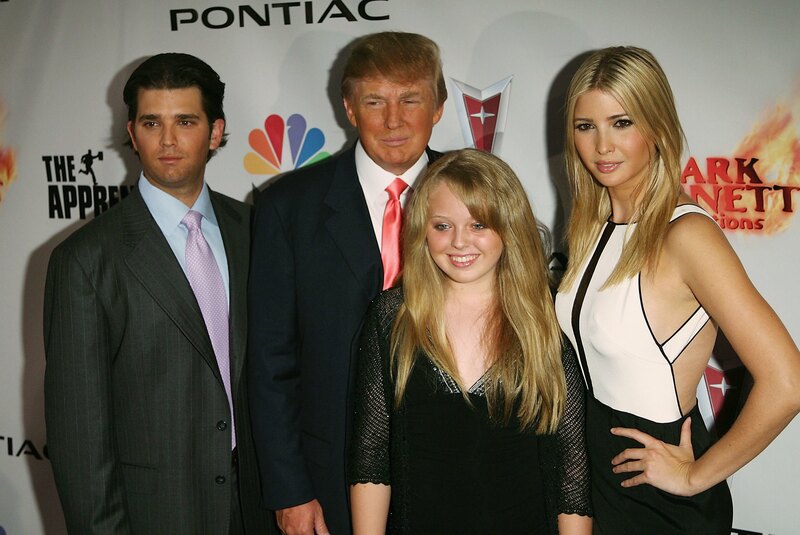 There may be no greater example of his creepy behavior than the time he talked about his daughter’s breasts in public. Yes, that's right Jessica Simpson’s dad talked about her breasts! The incident took place in an interview he did GQ at the height of Simpson's celebrity. He mentioned how big and voluptuous her breasts are, and that they just cannot be hidden. Talk about creepy! It seems like he has had some thoughts about his daughter that he should not be having. To make matters worse, this guy is a minister! This makes this comment even creepier because a minister, of all people, should absolutely know better. Drew Barrymore is one of the few child stars to successfully make the transition into an adult acting career. She’s been famous from such a young age thanks in large part to E.T. Given the stress celebrity can cause it might not come as a surprise to learn that she has some issues. Despite being born into a legendary acting family, Drew Barrymore struggles with her fair share of daddy issues. Her father essentially abandoned the family when Drew was seventeen. As a result of this, she had herself emancipated. Drew believes that her relationship with her father, or lack thereof, has had an effect on her relationships with men. What might be the saddest part of all this is that Drew claims her relationship with her mom is even worse. This goes to show that no family is immune to interpersonal drama. One common indicator of daddy issues is an absentee father. But sometimes dad leaving is the absolute best thing that can happen to a family. This seems to be the case for Christina Aguilera. She has said that her dad leaving the family was the best thing that could have happened to them. That certainly sounds harsh, but it is not hard to imagine why she would feel that way given how he treated the family. Her father was abusive. Aguilera even wrote two songs about her relationship with her dad. In recent years the singer reached out to her dad after a period of estrangement that lasted twelve years. According to Aguilera, her dad has a lot of guilt over the things he has done, as he should! It is never okay for a human being to abuse another person. Christina Aguilera is not the only pop star that struggles with daddy issues, as we have already demonstrated. 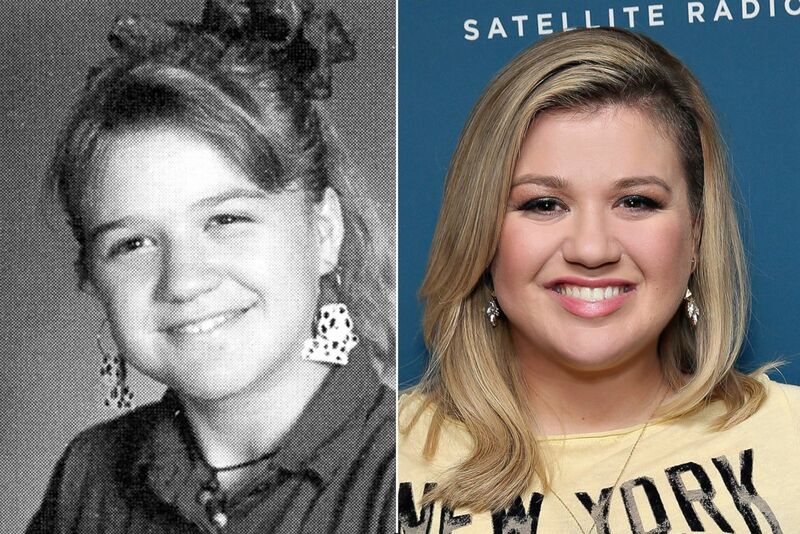 Another famous pop star who has also dealt with daddy issues is the original American Idol winner, Kelly Clarkson. Clarkson has essentially been estranged from her father for quite some time. As one might expect, her issues worked their way into her work as a singer and songwriter. Clarkson wrote a song about her absentee dad called, “Piece By Piece.” This song is also about her appreciation of her husband and his dedication to their kids, which is the exact opposite of the behavior her own father exhibited. Clarkson says she is attempting to reconcile with her father but claims that her dad does not know how to properly love people. That’s a harsh thing to say, but it is easy to understand why she might feel that way. It has been said that comedy very often comes from a place of tragedy. This may very well be the case for the next famous mom on our list, comic Roseanne Barr. Saying, Roseanne, has some daddy issues may be putting it mildly. In one of her books, Barr claims that both her father and mother sexually and physically violated her. Barr claims that she repressed the memories for her abuse and that is caused her to develop multiple personality disorder. That is some pretty heavy stuff! However, Barr’s siblings and parents all deny her claims, something that is not unusual in cases like this. Complicating matters further, her parents even managed to pass a lie detector test. Eventually, Barr went on to dispute her own claims against her family saying, "I was in a very unhappy relationship and I was prescribed numerous psychiatric drugs... I just wanted to drop a bomb on my family." Regardless of what the truth really is, this sounds like it was definitely a horrible situation. This last entry on our list is a bit different. It does not deal with someone having issues with their biological father. Instead, it deals with someone who has issues with her stepfather. That person is Tiffany, just Tiffany. Tiffany was most well known during the 1980s. It is not a stretch to say that she was the Brittany Spears of the time. Though things were not all great for Tiffany because during the 1980s her mom also got divorced from her second husband. The reason for the divorce was because Tiffany accused him of peeping on her. What a creep! To make matters worse Tiffany also has some issues with her mom. She attempted to become legally emancipated from her mom when she was sixteen. The emancipation did not go through, but she did end up moving in with her grandmother.